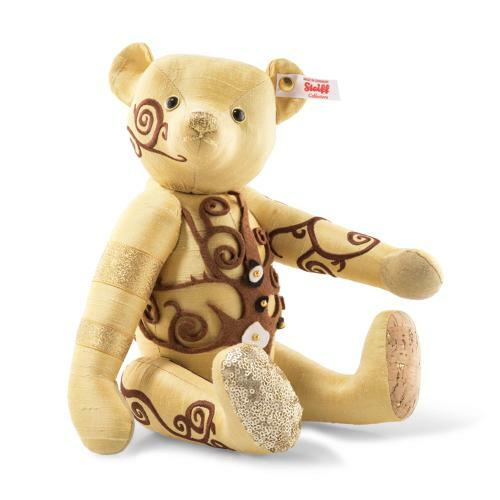 Gustav Teddy bear is the next in the Designer’s Choice series, following in the pawsteps of Claude and Jackson ... And just like them, he is a stylishly dressed individualist. He wears the finest dupion silk and elaborate ornaments inspired by the motif of Gustav Klimt’s “Tree of Life”. With gold-toned accents from head to toe, he is a credit to Gustav Klimt and the Art Nouveau movement.